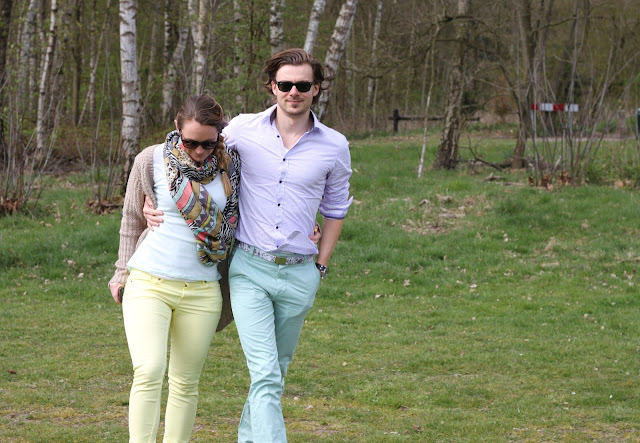 As I wrote in my previous post, we had a lot of fun during Easter, as you can see in these pics. This scarf is one of my new purchases from the National Glamour day. I fell in love with this scarf immediately, the colours an the designs makes it the perfect accessory for this spring. Don't ya think? You look lovely :) Perfect colors! Personal: Go Shorty, It's My Birthday!